Mum of Five Staying Sane: Wicked Wednesdays; When the toddler goes quiet and you enjoy the peace for a bit too long, please go and check what they are up too! A toddler and a can of spray foam soap. 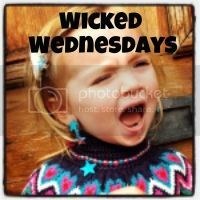 Wicked Wednesdays; When the toddler goes quiet and you enjoy the peace for a bit too long, please go and check what they are up too! 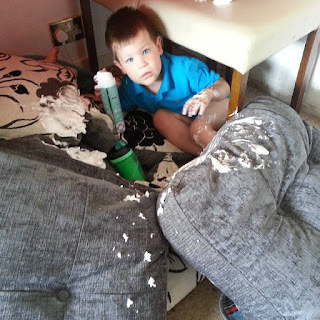 A toddler and a can of spray foam soap. Foam bath soap and a toddler, enough said really! he's like a rabbit caught in the headlights in this picture! 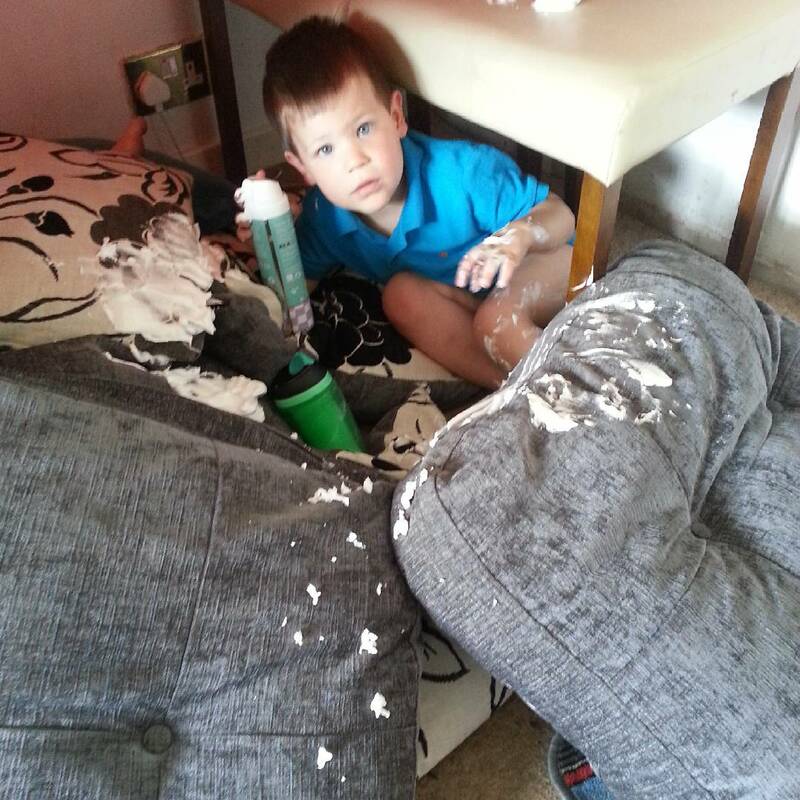 Caught in the act and even his makeshift cushion fort can't save him from angry, yet silently giggling, Mum! Thing 5 and a can of spray foam soap!